Get free advice and estimates from builders in your city. A condo, by definition, is a building that contains different units that are individually owned and occupied by individuals. Typically, there is one owner, who owns the building, and individuals purchase the condominium from the owner, and then the condo unit becomes theirs. Some individuals may want to live in a condominium because it is cheaper to purchase when compared to a house, there is no yard maintenance, and there is a sense of community. A townhouse is a multi-level house in a small housing development that is connected to a similar home by shared walls. A townhouse is not a single-family home. Some individuals may want to live in a townhome because many have maintenance-free yards, are gated or have security features to enter the community, and are cheaper than purchasing a free-standing home. Below, we discuss some of the main differences between condos and townhouses, which should help you make your decision about which one to build. Townhouses are designed in rows inside of a development, so tenants share a minimum of one wall with each other. Condos have a similar structure to that of an apartment building and share walls on both sides along with the ceiling and floor. Condos are built on top of each other in a series of rows and columns. The building process for a condo or townhouse is extensive and takes planning. Both of the processes are difficult and require an experienced architect, team of builders, and contractors to complete the job. Each one of the buildings needs to be up to current code and undergo inspections. In general, condos are more difficult to construct because there are more shared walls. And, the interior of the building, which must include multiple hallways, entryways for residents, and laundry rooms, only adds to the complexity. The building process for a condo initially starts out with surveying the land and purchase of a suitable lot to accommodate the structure. 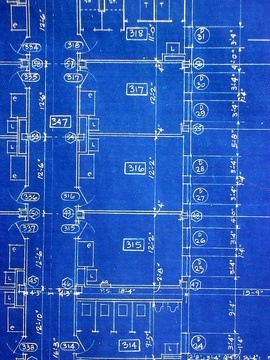 From there, an architect creates a set of blueprints 1 according to the developer’s idea for the building and condo design. When the plans are approved, construction begins. Once the initial structure of the building is constructed, the interior walls begin to go in, and the building is wired for electricity, the plumbing installed, and the process continues until entire building is constructed. The building process for a townhouse is similar and starts with the purchase of land that is suitable to hold multiple units. From there, an architect creates the townhomes’ plans. Since townhomes only share one wall, there is not as much planning needed. The rest of the construction process includes laying the foundation and building each of the units. The cost to build a condominium depends on several factors, such as the cost of materials and installation. To build a condo, expect to spend about $85 to $200 per square foot. The overall price for either construction includes and assumes that carpenters, masons, and excavators charge about $70 per hour, electricians $65 to $85 per hour, plumbers $45 to $65 per hour, and painters $20 to $35 per hour. A wooden two-story unit with two condominiums would cost about $551,500. This includes material costs of $238,000, labor costs of $238,200, machine costs of $8,300, and a contractor to oversee the project at $67,000. The cost to build a townhouse depends on several factors as well but is generally more expensive than a condominium. To build a townhouse with medium-level products with a traditional foundation, basement, attic, appliances, and a turnkey finish, expect to spend about $261,500 to $523,000 for the entire building, which typically consists of two living spaces or two townhomes. The average cost is about $119 per square foot. Expect to pay $258,000 for materials, $251,400 for labor, $13,100 for machine rentals, and about $74,000 to hire a contractor to oversee the project. The developer or individual hired to construct the condo or townhouse does not own the building. He or she is hired by the individual or company who purchased the land. The owner will work closely with the developer and architect to design the structure. Often, the owner will rent out the condos or townhouses prior to the construction completion date. Condo owners do not own the land that their condo is built upon, and they do not own the building in which their condo resides. Condo owners only own the interior of their unit. In many cases, when someone purchases a townhome, they own the townhome and the land it sits on. Sometimes, townhomes are sold separately of the land, and the owner only owns the townhouse itself and not the land it sits on. It is important to read the terms in the contract before purchase. When an individual wants to purchase a condo or townhouse, it is important to learn more about any Homeowner Associations (HOAs). Before purchasing, potential buyers should ask for a copy of the HOA’s meeting minutes, financial statements, and rules and regulations, commonly known as CC&Rs or covenants, conditions, and restrictions. The communities in condos and townhouses are usually similar, but you may find that condos have a closer community feel and offer more than a townhouse community. Condos generally have patios or balconies, community pools, common areas, laundry rooms, game rooms, and fitness centers. Townhouse communities may have some, all, or none of these, but it is common to find a pool, fitness center, and playground. If a townhouse or condo is governed by an HOA, then the owner of the townhouse or condo is responsible for paying the fees. HOA fees are usually due monthly and can range from a couple hundred dollars per month to upward of a thousand dollars. The developer or builder of the condos or townhouses is not responsible for paying any of the HOA fees except for any unsold or unrented units. As a builder or developer, you do not have any responsibility to maintain the property once it is built. 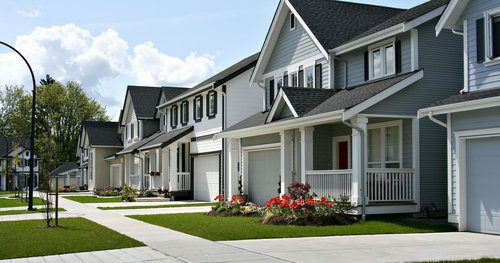 The owner or the HOA is responsible for taking care of the property, which is why many individuals choose to purchase townhouses or condos instead of standalone homes. There are maintenance fees for both townhouses and condos, and it falls on the owner of the unit to make the payment for these services. Maintenance services typically include pool cleaning, repairs to buildings or roofs, lawn maintenance, and similar. The average cost of maintenance fees for condos and townhouses is a couple of hundred dollars per month, but the actual cost varies depending on the location, amenities, and what is included. Safety and privacy is a concern, no matter what type of structure you live in, and it is important for condo and townhouse owners to feel safe and comfortable in their dwellings. Typically, the safety and privacy of a condo or townhouse depends on the structure itself. What this means is whether or not the buildings were constructed with additional security measures. For example, a townhouse community may be surrounded by a gated structure, or a condo facility may have a buzzer entrance to gain access. Neighbors are not usually a problem, but they can be a problem anywhere. Fortunately, with a condo or townhouse, HOAs have rules and regulations that provide each individual with a good quality of life and enjoyment of their property. The resale value of a condo is typically higher than that of a townhouse because the condo retains much of its value. However, a condo is not like a single-family or detached home where the price fluctuates. A detached home may sell for more money than a condo when the real estate market is hot, but condo sales allow investors to receive more of their money back over the course of their ownership because they do not fluctuate as much in value. A townhouse does not always hold its value, and this is for a couple of reasons. First and foremost, it can be much more difficult to have a full community. Also, it can be harder to obtain financing for townhomes. How much does it cost to build a condominium or a townhouse in my city? Cost to build a condominium or a townhouse varies greatly by region (and even by zip code). To get free estimates from local contractors, please indicate yours.